If you didn’t already know, those wonderful coffee beans that the 4 locations of Chocolati Cafe serves is their own artisan roasted blend of espresso. 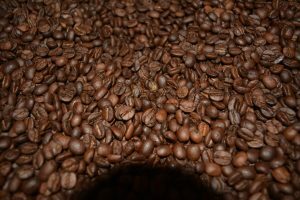 We have teamed up with our sister company (also located in our Chocolate production facility ) Skool Coffee www.skookcoffee.com to produce some of the best blends that originate from Brazil, Columbia, Guatemala, and around the world. We also have a signature dark roast and a rotating light roasts to peak our customers interests. You can purchase our 12oz bags of espresso roasts at all of our Chocolati Cafe locations.